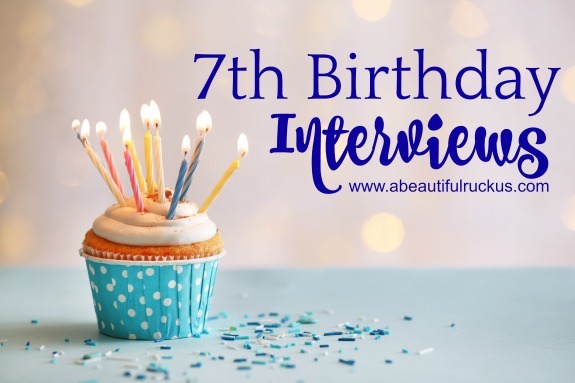 Time for our birthday interviews! I'm a bit late getting started this year, so I'm going to have to post one every few days to get through all four kids by the time their birthday rolls around! Caleb is doing so well these days! 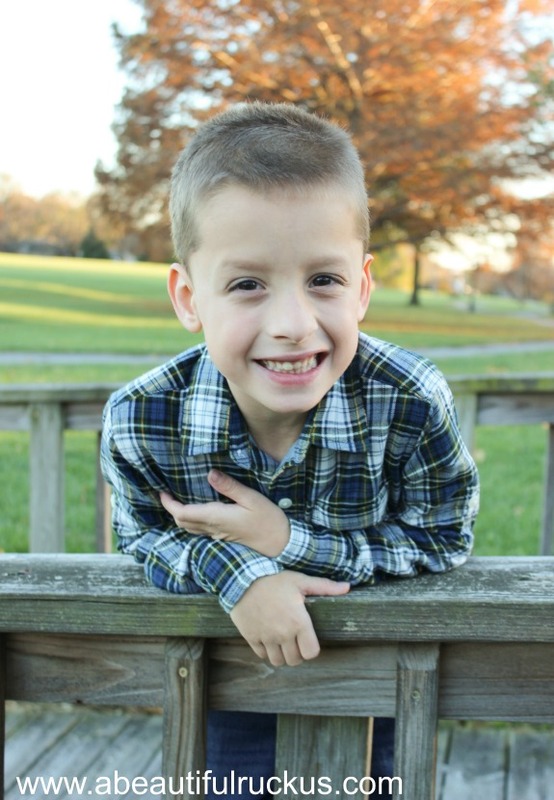 While he still gets several therapies at school, he has settled into a rhythm and is transitioning from activity to activity much better than at the beginning of the school year. He reads incredibly well, although any written assignments can cause some stress and frustration as it's definitely at the bottom of his preferred activities list. One of his best talents is having a super sharp memory which means that he can recall details, sections of historical speeches, and songs weeks after he hears them. At the same time, he doesn't talk nearly as much as his brother, but when he does, it's usually pretty well thought out and direct. Thankfully he has become good at letting us know what he needs, so there isn't nearly as much guessing now when he starts to struggle (he thrives on schedules, structure, and predictable days!) As a sibling, he most certainly has an ornery streak, and has clearly spent the last few years figuring out exactly which buttons to push when it comes to his brother and sisters. He can be both the most concerned kid for another sibling's welfare and push them to the edge all in the same 5 minutes. Sometimes it's hard to keep a straight face because his sense of humor is hilarious! What is your favorite animal? "Lions, foxes, and cats." What is your favorite color? "All of them." What is your favorite thing to eat? "Pancakes, waffles, mashed potatoes, tacos, burritos, hash browns, fries, chicken nuggets, and chicken tenders." What is your least favorite thing to eat? "Sweet potatoes and hash browns that are not in a fry shape." What is your favorite thing to do? "Learn some good tricks and get fit." What is your favorite TV show? "Miles from Tomorrowland and Sonic Boom." What is your favorite movie? "Star Wars: The Last Jedi, Big Hero 6, Planes: Fire and Rescue, Cars." What are you really good at? "Fitness tricks like stretch out." What is your favorite song? "The Trolls Soundtrack....Hair Up." What do you and your mom do together? "Have some fun and get a goodnight's rest"
What do you and your dad do together? "Rest and wrestle"
What is your favorite book? "A Fancy Day in Room 1-A. It's Fancy Nancy." What do you want to be when you grow up? "I don't know what I want to be...I just want to be a hero." What is your favorite toy? "My puppy named 'Blue' and all my other stuffed animals." For fun, here is Caleb dancing to the "Hair Up!" song!